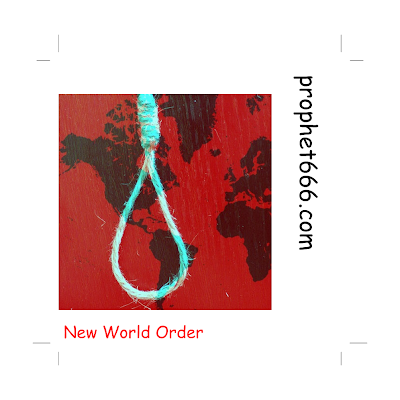 This certainly is that Quatrain from the Centuries of Nostradamus which describes the rise and fall of the New World Order.This is that Quatrain which comes before the one I last interpreted as being descriptive of the New World Order being Destroyed. This particular Quatrain has been interpreted before as being descriptive of the French Revolution. But the despotic Royal families were not masked and solitary; their excesses were in full public view, which was like rubbing salt in the wounds of the hungry population. This Quatrain describes the Illuminati trying to impose a New World Order in the world. The ring leaders remain hidden to public eye, they operate secretly through proxies. This Quatrain is important in the sense that a loose dating is given. It is the current century which Nostradamus is talking about. The New World Order is seemingly in control at the turn of the century. Nostradamus describes this as a sinister century, with much going on behind the scenes which do not come to public eye. Probably in the days after 21 DECEMBER 2012 these people will come to the public eye, and as the Quatrain describes will be hunted down. I have a feeling that this will probably will be the aftermath of the third Antichrist coming into power. Century – 2 - 10.